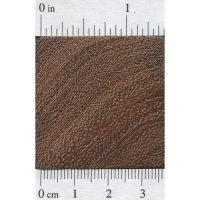 Color/Appearance: Heartwood is golden brown, frequently with bands of lighter and darker colored wood. 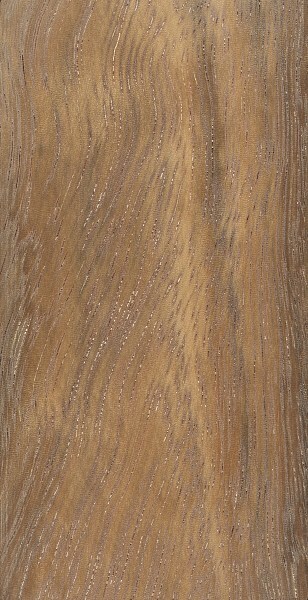 Contrasting sapwood is pale yellow. Color tends to darken with age. 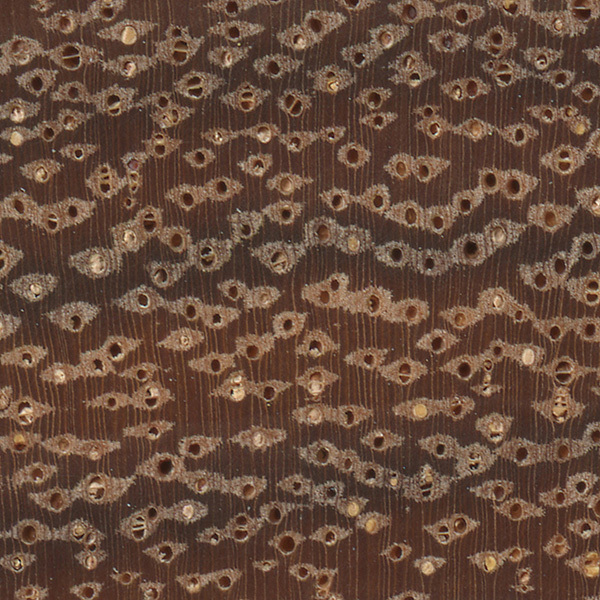 Grain/Texture: Grain is usually interlocked. 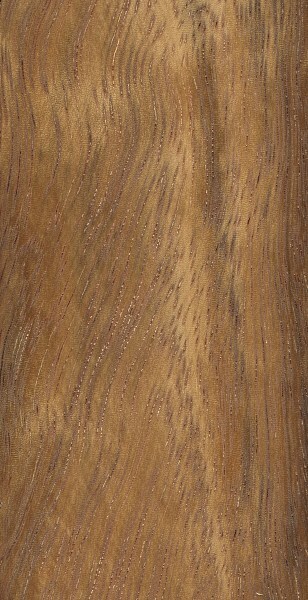 With a coarse texture an good natural luster. 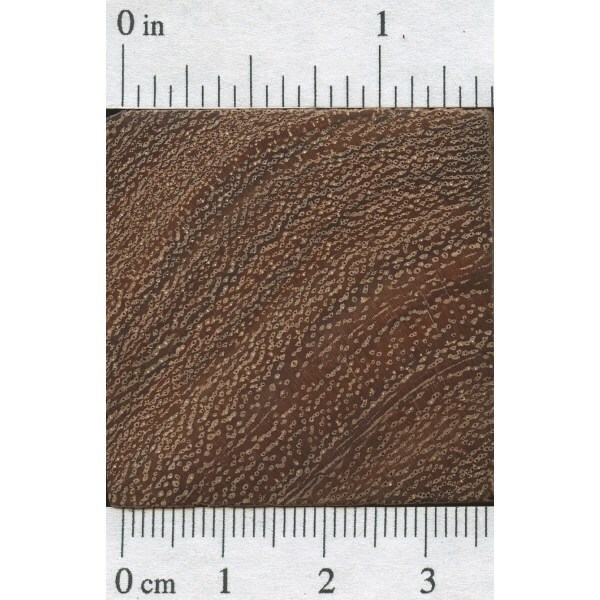 Endgrain: Diffuse-porous; solitary and radial multiples; large to very large pores in no specific arrangement, very few; yellowish deposits occasionally present; parenchyma vasicentric, lozenge, confluent, and marginal; narrow to medium rays, spacing normal. 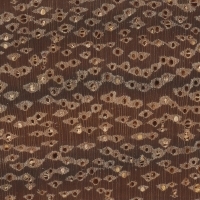 Rot Resistance: Rated as moderately durable; poor insect resistance. Workability: Moderately easy to work, though interlocked grain can cause tearout during surfacing operations. Turns, glues, and finishes well. Allergies/Toxicity: Although severe reactions are quite uncommon, Albizia has been reported to cause eye and respiratory irritation, as well as other effects, such as: nausea, pink eye, giddiness, and nose bleeds. See the articles Wood Allergies and Toxicity and Wood Dust Safety for more information. Pricing/Availability: Not commonly available, veneer, solid lumber, and smaller craft blanks are occasionally made available. Expect prices to be in the mid range for an imported hardwood, with figured boards and veneer costing more. Common Uses: Furniture, veneer, and turned objects. Comments: Much like the related species from Asia, Albizia ferruginea and related species from tropical Africa have lustrous golden brown wood. However, with this beauty is a caution: the wood can be among the most irritating and inflaming to mucous membranes, and care should be taken whenever airborne sawdust is generated from the wood. Sometimes known as Tanga Tanga.